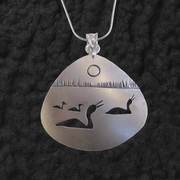 Minnesota artist Joseph Reiter designs and crafts his jewelry celebrating the grace of the Lake Superior and his Anishinabe tradition of respect for the natural world. 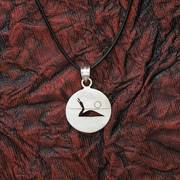 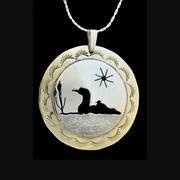 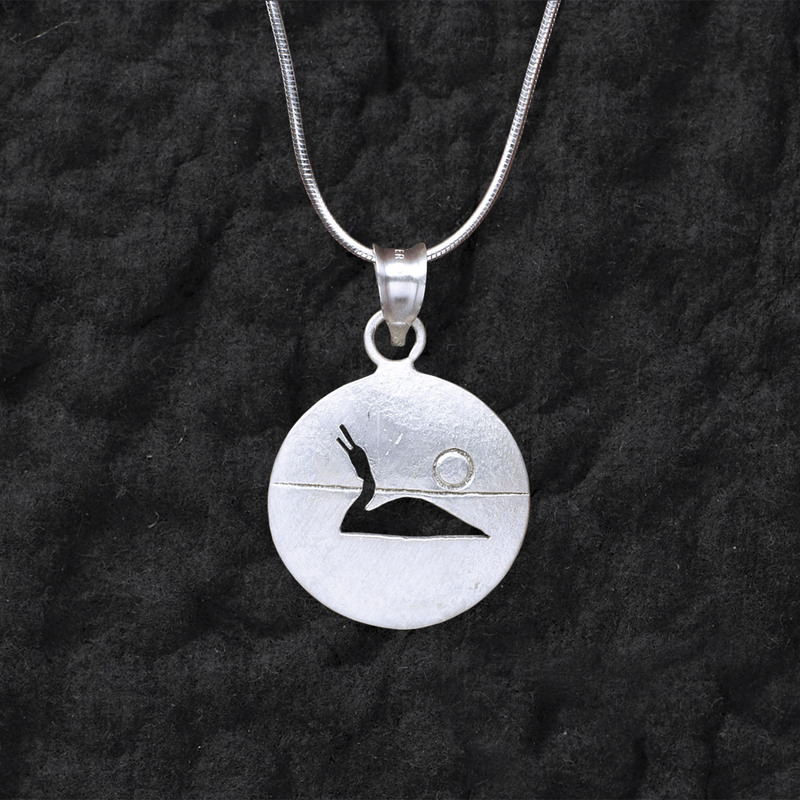 This sterling silver cut-out loon (3/4" diameter) hangs from an 18" sterling silver chain. 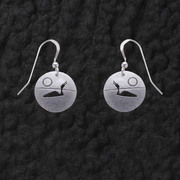 Matching loon earrings are also available.